Pools, ponds and fountains and other water features have been used to enrich and enliven garden landscapes since ancient times. 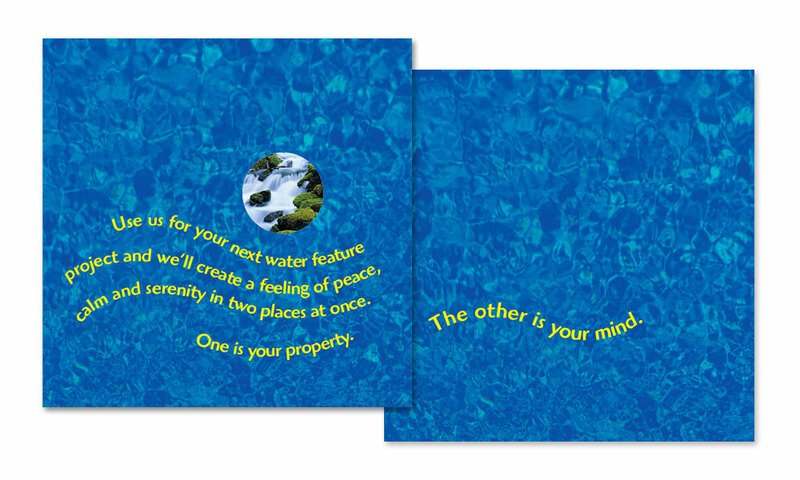 Aquatic Equipment & Services (AES) are experts in ponds, lakes, fountains, waterfalls and aquariums – they design, build and maintain water features for residential and commercial spaces. 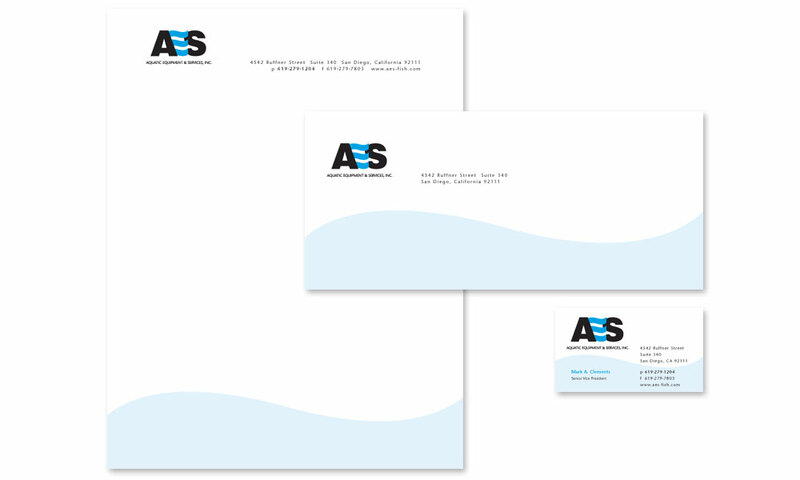 AES asked BrainShine to re-brand the company to better represent their business model. 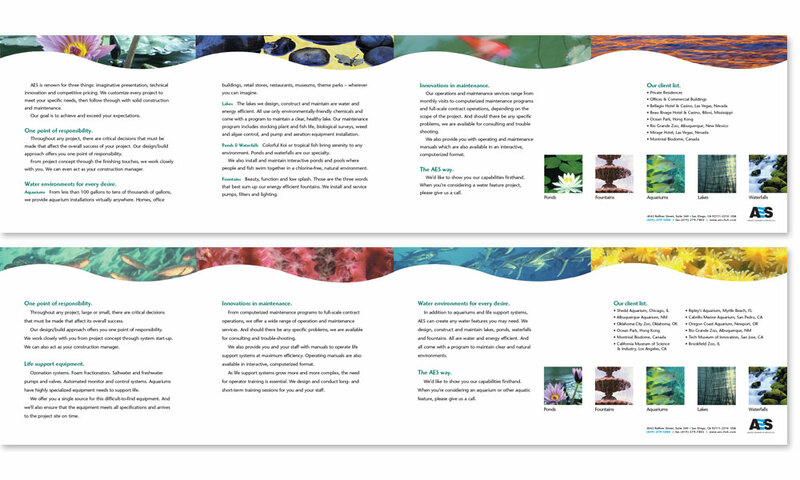 After creating the logo and stationery package, we built two brochures – one for water features, and the other for aquariums. 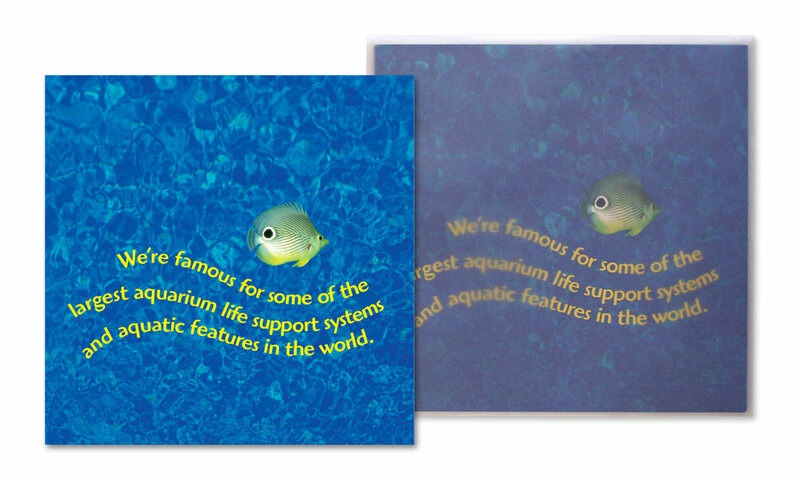 These unique, gate-fold brochures fit nicely into stock transparent envelopes creating an aquarium-like effect on the mailing panel.